The Country Inn & Suites, Page, AZ features 92 hotel rooms near Glen Canyon Dam and Lake Powell. 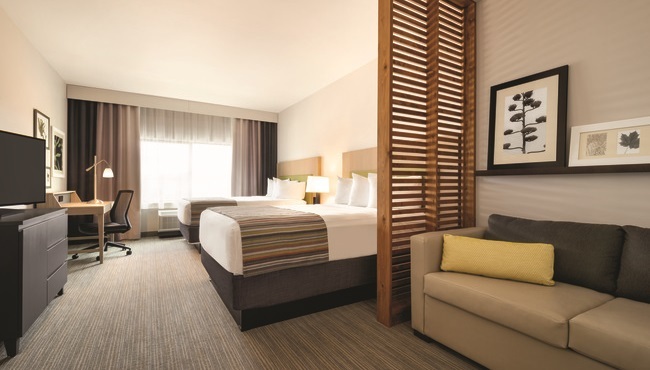 After a day of touring Antelope Canyon or rafting on the Colorado River, return to your room to unwind with free Wi-Fi or a movie on the flat-screen TV. 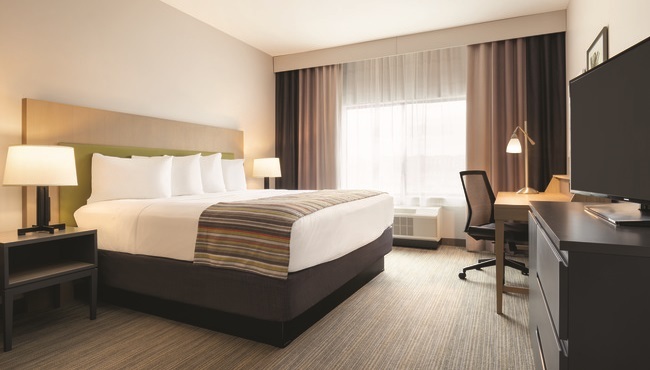 Every room also features a refrigerator and a microwave, ideal for storing and reheating leftovers from a local restaurant. 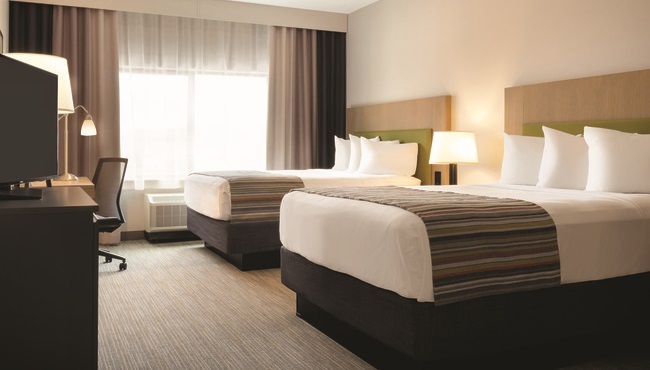 In the morning, sip a cup of coffee from your in-room coffeemaker before heading down to the free, hot breakfast. 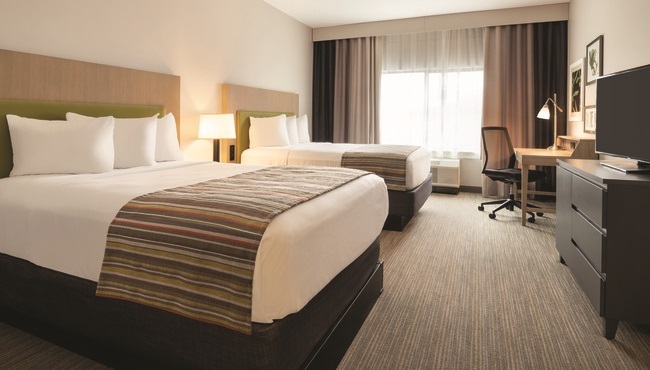 If you’re traveling with your family or a group of friends, adjoining rooms are available upon request. 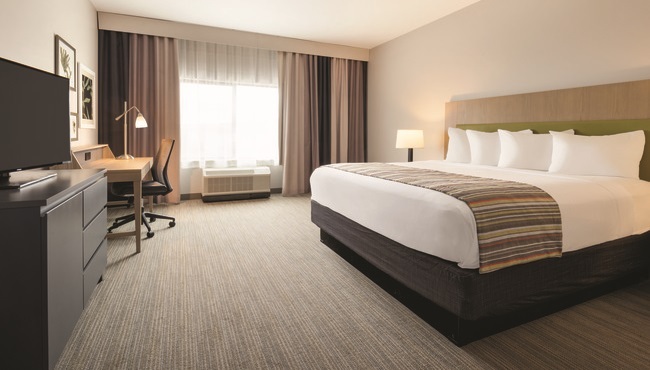 Our Standard Rooms come with all standard amenities and your choice of one king bed or two queen beds. 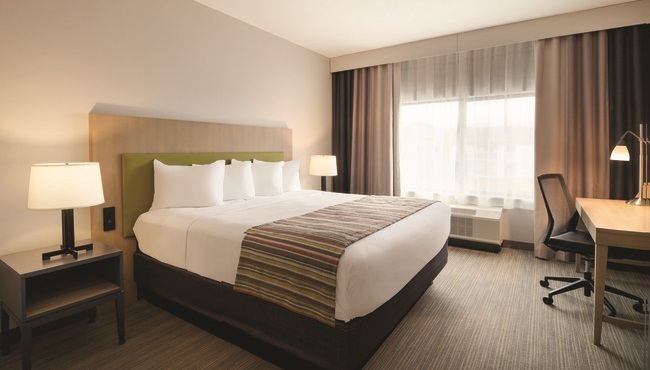 Accessible versions of the Standard Room are available with either type of bed. 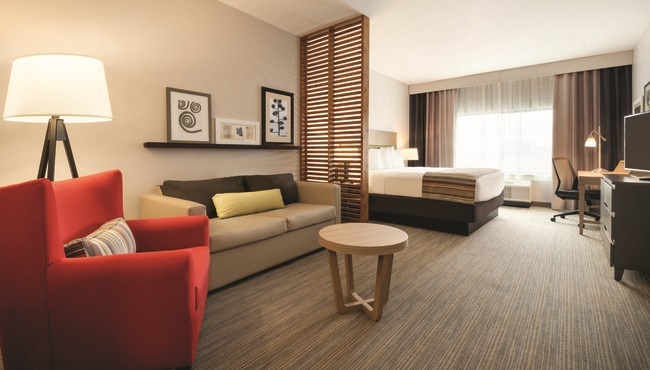 Suites accommodate families or small groups with a seating area, a sleeper sofa, one king bed or two queen beds, and all standard amenities.